As a chiropractic clinic we treat so much more than just spines. We do heads, shoulders, knees, and toes, too! In all seriousness, we have an adjustment, manual therapy, or laser therapy for all kinds of conditions all over the body. We also take brain health very seriously, so each month at our office we are highlighting a different neurological condition that we frequently see our patients struggling with for the purpose of letting you know that there is a non-invasive, drug-free way to help treat the symptoms you’re experiencing. This month the topic is Depression. Did you know that more than 16 million people in the U.S. are struggling with depression and it can affect people of all ages, races and ethnic groups? Depression can cause excessive sadness, loss of interest in daily activities, fatigue, insomnia, agitation, loss of appetite, lack of concentration and it can even complicate other medical conditions. 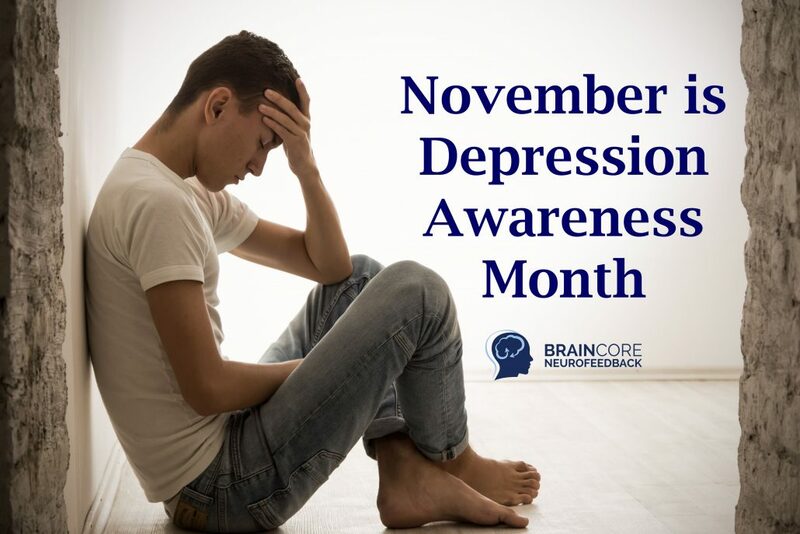 Depression is not just a “normal part of life” and you don’t have to just “deal with it.” Find out how we are using BrainCore, a drugless therapy, to help regulate the associated brain waves, diminishing the symptoms, and restoring a better quality of life for our patients. Don’t just struggle. Be well.